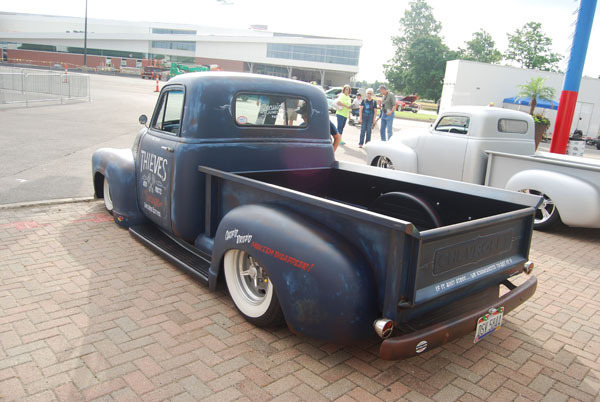 We spotted this 53 Chevy Truck sitting next to a high end 54 Chevy. The 2 trucks couldn’t have been more different. 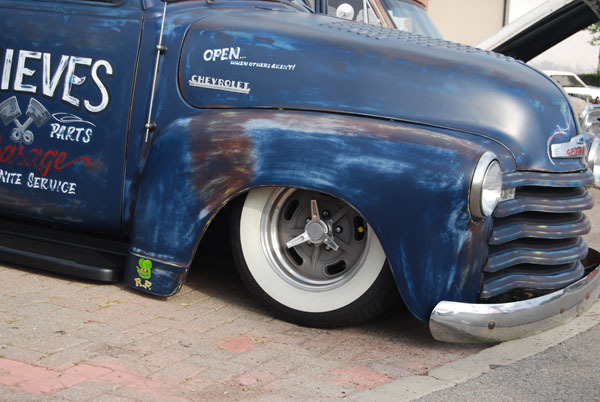 This 53 had the slammed stance we like so well and rolling on some really cool wide whites. 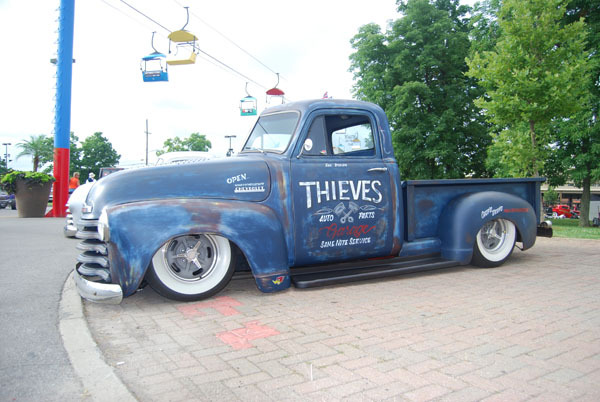 The coolest thing about a rat rod is you don’t have to go crazy shining it up. 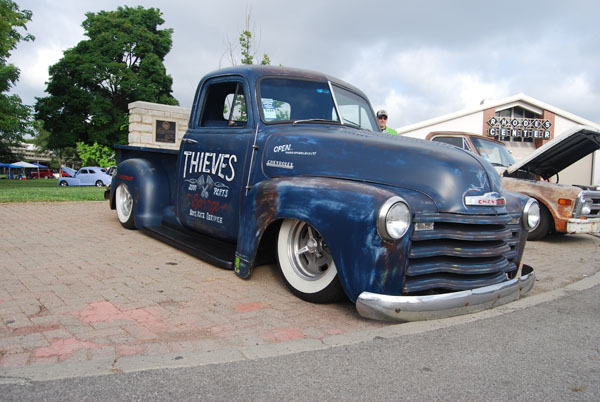 That’s more fun for the rat rod guys!